To successfully make it in Modern Retail, remain a key challenger against your competitors and bigger brands retailer’s need to begin prioritising their customers; changing their marketing communications to focus their attention on what your buyers and potential buyers want. Using customer-focused marketing, alongside data in your business strategy, to create a brand your buyers love. Research has shown that by 2017, 89% of businesses will compete mainly on customer experience. By putting the customer at the centre of your data analysis you can successfully track and understand your customers as individuals; increasing their significance, customer engagement and, of course, revenue. Customers want to believe that they are valued as a customer and that this value goes beyond their monetary input. And it should do. This customer-centric data needs to be embedded into your customer-focused marketing to show your genuine interest in the customer, forge stronger relationships and consequently, retain their business and possibly get recommendations. Price is important but isn’t the overriding factor in whether someone will buy from you or not. Simon-Kucher & Partners found that, in a survey of 1,000 shoppers, “lower prices” were not the motivation for shopping in certain places. With Oracle’s research showing that 81% of the customers surveyed would be willing to pay more for superior customer service. Value, from the customer’s perspective, is more than just price. Consumers are now pursuing the best value from businesses; a value which includes not just price but delivering service before AND after the sale. Many products have very little unique selling points(USPs) which differentiate them from other products – so the service you give has to be the USP. Listen to your customers and improve on your products and customer needs by listening to their insights about your product and service. Working with this feedback, you can make sure you are delivering a customer experience that is worth them coming back. Listen to your customers and improve on your products and customer needs by taking on board their insights about your product and service. Working with this feedback, you can make sure you are delivering a customer experience that is worth them coming back. That is not to say that having cheaper products than your competitors are not going to be an advantage but they can always lower their costs. This can end in a price war, which neither company will come out on top of. Providing high value to your customers, alongside price, service and relationship building maintains their loyalty and means your customer is not searching for cheaper prices. In today’s retail environment personalisation can make a huge difference. For example, nearly three-fourths (74%) of online consumer’s express frustration with irrelevant communication (offers, ads, promotions). Therefore, it should come as no surprise that personalised email communication delivers six times higher transaction rates than doing email blasts. To effectively personalise the customer experience, retailers must understand the importance of customer segmentation. Customer segmentation is the practice of dividing a customer base into groups of individuals that are similar in specific ways. This is can be done through age, gender, interests and spending behaviours. Adverts, offers and promotions can then be tailored for a specific customer experience. Tesco has adopted a customer-focused marketing approach where they have harnessed data from Clubcard owners to tailor its website with specific items and deals. Personalised for them. Boots also use their loyalty card to let you pick and choose offers they’ve found from the customers individual buying habits. This will enable you to deliver greater worth to your customers and address their specific needs. Whilst it is nice to believe that long-term customers are returning each time because they love your brand it is, more often than not, because they love your employees. These relationships are even more integral to small businesses so it is important that you aren’t rotating salespeople, customer service reps, or key contacts unless you have to. Your employees will be building these long-term relationships, it is your job to do everything possible to protect and maintain them. Your sales team must be doing the right thing to retain the customers; when customer service is poor, or the customer is met with a bad attitude, lack of knowledge and delayed service it’ll affect their chances of returning. A report by SmallBusinessTrends found that the number one reason why more than one-third (34%) of consumers voice a complaint is poor customer service. 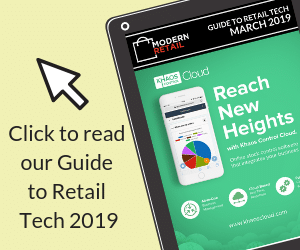 With customer experience an increasingly important differentiator (and, according to many, the single most important differentiator), retailers must make a long-term commitment to delivering the support customers want and need. This requires regularly gathering customer knowledge, measuring the support you offer from your customers’ point of view. By offering discounts or incentives to land new customers is often necessary, you can’t forget about those customers who have been loyal to you. If they don’t feel their loyalty is being rewarded, they will quickly become resentful. If you think about the offers you give to your new customers and then match, or advance this reward they’ll feel appreciated by you. It is important not to forget that while new customers create an immediate top-line impact, existing customers and their continual sales typically result in a bigger impression on your bottom line. It can be good to make a list of the customers you can’t afford to lose. Then list what those customers would typically buy. That list is the foundation of your business. With the growth in millennial shoppers, there is an even bigger need to be available on as many channels as possible. The use of Web and mobile to research and shop is also what helps influences their purchases. The need for multichannel experience is growing in the customer-centric environment. If you aren’t online then you are missing out on potential customers and retaining the ones you have.